Brenda moved to Houston in 1975 from Shreveport, Louisiana. She quickly became involved with the Houston community. Brenda was crowned Ms. Texas USA. She was one of the original Houston Oiler Cheerleaders, performing on the sidelines at the Astrodome during the Luv Ya Blue days. She took her experience with the Oilers to the Houston Rockets management. The Rockets contracted with Brenda to organize and manage the original Houston Rocket Cheerleaders. Later, Brenda established Total Rep, Inc., a firm which represented professional athletes in their professional contract negotiations and endorsements. 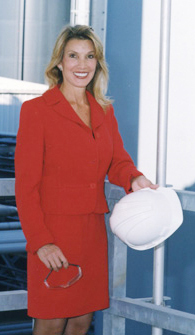 Brenda admits the cheering and agent business were a lot of fun, but were fleeting, I really wanted a business to build a career on. Brenda formed her construction company, Chavez Service Companies, Inc., in 1991. Brenda focuses on the development of new business, maintaining current relationships, strategic planning and project selection. Brenda has numerous business awards and serves on many business and non-profit boards.